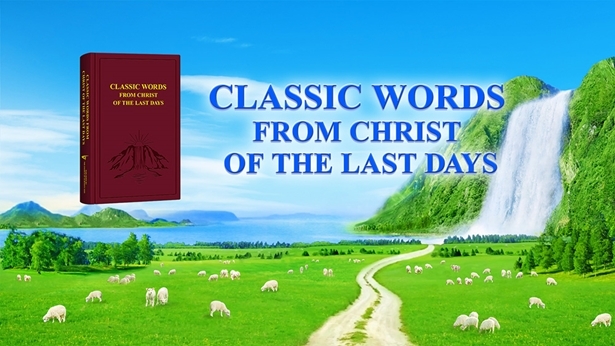 Regarding the second coming of the Lord and incarnation into the Son of man of the last days, not only are there clear prophecies in the Bible, but there are many such prophecies. For example: “Be you therefore ready also: for the Son of man comes at an hour when you think not” (Luk 12:40). “For as the lightning, that lightens out of the one part under heaven, shines to the other part under heaven; so shall also the Son of man be in his day. But first must he suffer many things, and be rejected of this generation” (Luk 17:24-25). These prophecies mention the coming of the Son of man or the Son of man in his day. The Son of man refers to being born of man and a person with normal humanity. If He is a Spirit, then He cannot be called the Son of man. Just as Jehovah God is the Spirit and cannot be called Son of man. Some people have seen angels and angels are spirits, and they cannot be called the Son of man either. All that which has the image of man but is classed as a spirit cannot be called the Son of man. The incarnated Lord Jesus is called the Son of man and Christ because He was the incarnate flesh of God’s Spirit and became an ordinary normal person and lived amongst people. So the coming of the Son of man or the Son of man in his day mentioned by the Lord Jesus refers to the second coming of God’s incarnation in the last days. The Lord Jesus repeatedly prophesied that He would come again as the Son of man. The Son of man refers to God incarnate, such as the Lord Jesus in the flesh who looks like an ordinary, normal person outwardly, who eats, drinks, sleeps and walks like a normal man. But the spiritual body of the Lord Jesus after He resurrected was different, which could penetrate walls, fade in and fade out. It was particularly supernatural. So He could not be called the Son of man. When prophesying about the Son of man’s return, the Lord Jesus said, “But first must he suffer many things, and be rejected of this generation” (Luk 17:25). But according to what you say, the Lord will return as a spiritual body descending on a cloud and appearing publicly in great glory, when all people must prostrate and worship, who would dare to resist and condemn Him? The Lord Jesus said: “But first must he suffer many things, and be rejected of this generation.” How will this word be fulfilled? Only when God incarnate appears to work as the Son of man, when people do not recognize that He is Christ incarnate, would they dare to condemn and reject Christ according to their notions and imagination. Don’t you say that is the case? In addition, the Lord Jesus also prophesied, “But of that day and hour knows no man, no, not the angels of heaven, but my Father only” (Mat 24:36). “If therefore you shall not watch, I will come on you as a thief, and you shall not know what hour I will come on you” (Rev 3:3). If the Lord were to descend on a cloud in a spiritual body, then everyone would know about it and be able to see it. Yet the Lord Jesus prophesied when He shall return, no one shall know, the Son shall not know and it is “as a thief.” How will these words be fulfilled? If the Lord Jesus were to appear in a spiritual body, how would He not know about it Himself? Only when God becomes flesh as the Son of man in the last days, becomes an ordinary, normal person, will the words that the Son shall not know be fulfilled. Just as the Lord Jesus, before performing His ministry, even He did not know about His identity as Christ who came to fulfill the work of redemption. So, the Lord Jesus often prayed to God the Father. Until the Lord Jesus began to fulfill His ministry, it was then He realized His identity. The Lord Jesus prophesied that He shall return and said many words about it, but you only hold on to the prophecy that the Lord will descend with the clouds and don’t seek or investigate other more important prophecies spoken by the Lord. This makes it easy to walk down the wrong path and be abandoned by the Lord! There is actually not just the “descend with the clouds” prophecy in the Bible. There are also many prophecies like that the Lord will come as a thief and descend secretly. For instance, Revelation 16:15, “Behold, I come as a thief.” Matthew 25:6, “And at midnight there was a cry made, Behold, the bridegroom comes; go you out to meet him.” And Revelation 3:20, “Behold, I stand at the door, and knock: if any man hear my voice, and open the door, I will come in to him, and will sup with him, and he with me.” All these prophecies refer to God becoming flesh as the Son of man and descending in secret. “As a thief” means coming quietly, secretly. People won’t know He is God even if they see or hear Him, just as it was back when the Lord Jesus appeared and performed His work. From the outside, the Lord Jesus was just an ordinary Son of man and nobody knew He is God, which is why the Lord Jesus used “as a thief” as a metaphor for the Son of man’s appearance and work. This is too befitting! Those who do not love the truth, no matter how God in the flesh speaks or works, or how many truths He expresses, they do not accept. Instead, they treat God in the flesh as a normal person and condemn and abandon Him. That is why the Lord Jesus prophesied concerning His return, saying: “For as the lightning, that lightens out of the one part under heaven, shines to the other part under heaven; so shall also the Son of man be in his day. But first must he suffer many things, and be rejected of this generation” (Luk 17:24-25). Based on the Lord’s prophecy, His return shall be “the coming of the Son of man.” “The Son of man” refers to God in the flesh, not the spiritual body of the resurrected Lord Jesus descending with the clouds to openly appear before all people. Why is that the case? Let’s think about it. If it were the spiritual body of the resurrected Lord Jesus descending publicly with the clouds, it would be incredibly powerful and shock the world. Everyone would drop to the ground and no one would dare resist. In that case, would the returned Lord Jesus still endure a lot of suffering and be rejected by this generation? That is why the Lord Jesus prophesied that His return shall be “the coming of the Son of man” and “as a thief.” In actuality, it is referring to God incarnated as the Son of man arriving in secret. Previous：How Does God Incarnate Doing Work of Judgment End the Age of Darkness of Mankind Believing in a Vague God, and of Satan’s Rule? Next：Question 2: Although those who believe in the Lord know that the Lord Jesus was incarnate God, very few people understand the truth of incarnation. When the Lord returns, if He appears just as the Lord Jesus did, becoming the Son of man and working, people will really have no way to recognize the Lord Jesus and welcome His return. So what really is incarnation? What is the essence of incarnation?